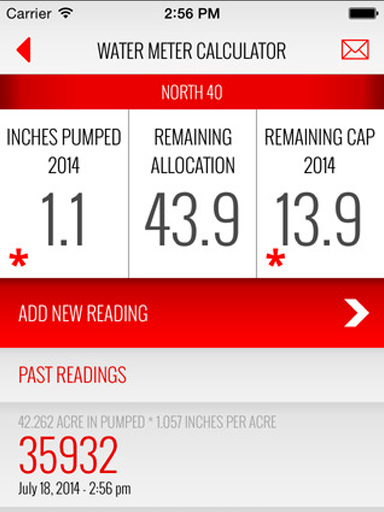 This app calculates the amount of water pumped by irrigation pumping plants and can store data such as field size (in acres), flow meter units, and allocation and annual irrigation caps for each field. 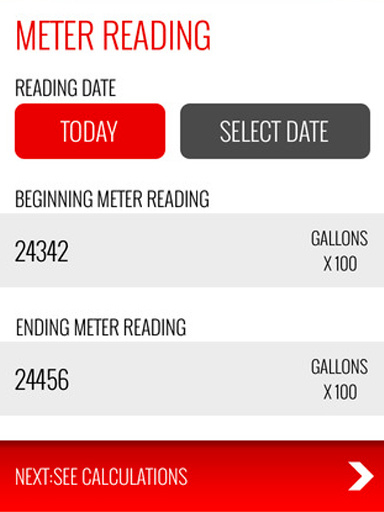 The user inputs the beginning and ending meter reading and the app calculates the amount of water pumped on the field (total) and on a per-acre basis. It also tracks total water pumped for the irrigation season, the remaining allocation for future years, and the annual cap remaining as well as any annual cap penalities. The app was developed by Chuck Burr, Tim Lemmons and Tom Dorn, all UNL extension educators, and Bryan Lubeck and Shirlee Poyser both of the Lower Republican River Natural Resources District. It was produced by Jeff Abele of Move Creative, LLC.